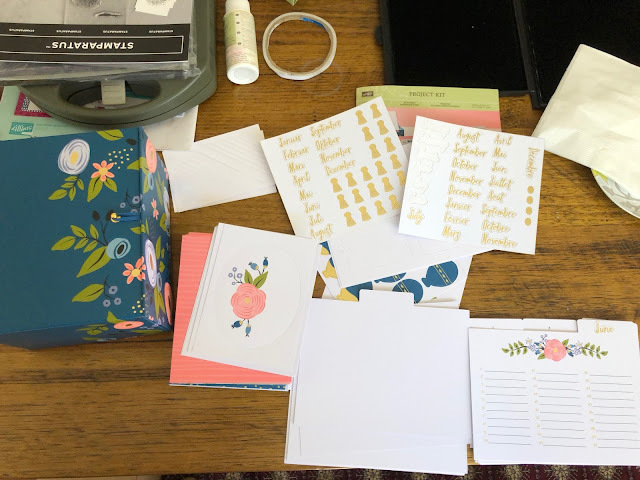 There's nothing I like better than getting together with my Stampin' Up! friends for a team craft day. Our last one was at our upline Kate's place and was loads of fun. Thanks, Kate for hosting us! We beat 44 deg heat and enjoyed lunch, chatting, and making up the Perennial Birthday kits. Have you seen them yet? They are fabulous! If you are an organised soul like me you won't be able to resist, and if you aren't then you'll want one just so that you can be! Even my workspace was nice and tidy while I made it up! 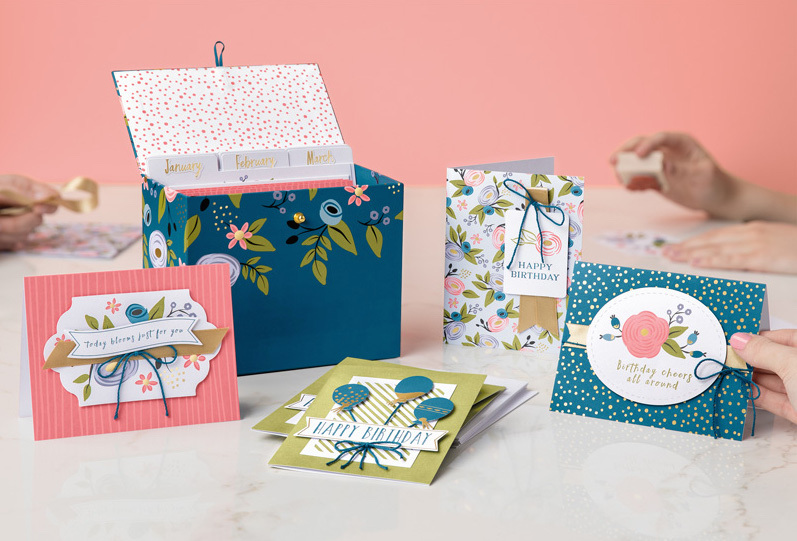 Why don't you join us next craft day? Join my team and you can! 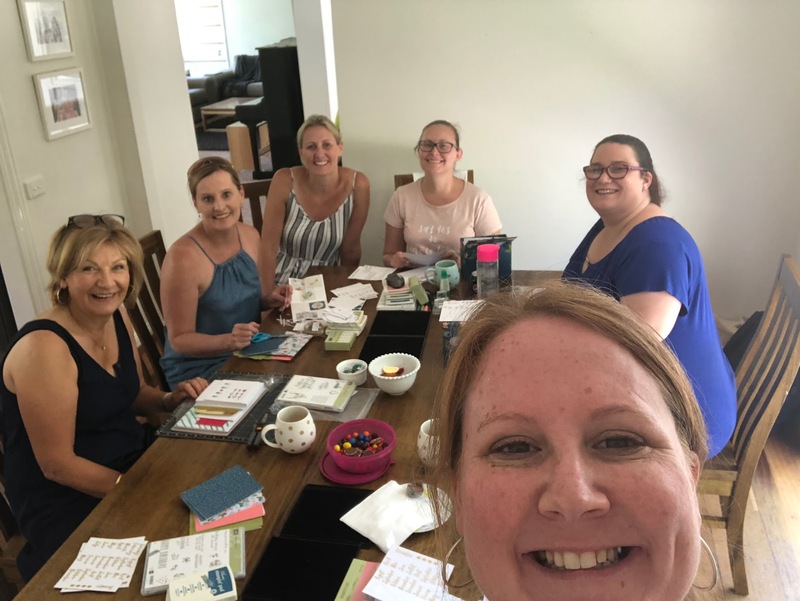 And if you aren't in Melbourne, we still have LOADS of fun in our Facebook group and you receive all my help and support as your upline with training, gifts, and as many cards as your letterbox can hold :) Check back in two days' time to see the cards I made for the team to give at the craft afternoon. 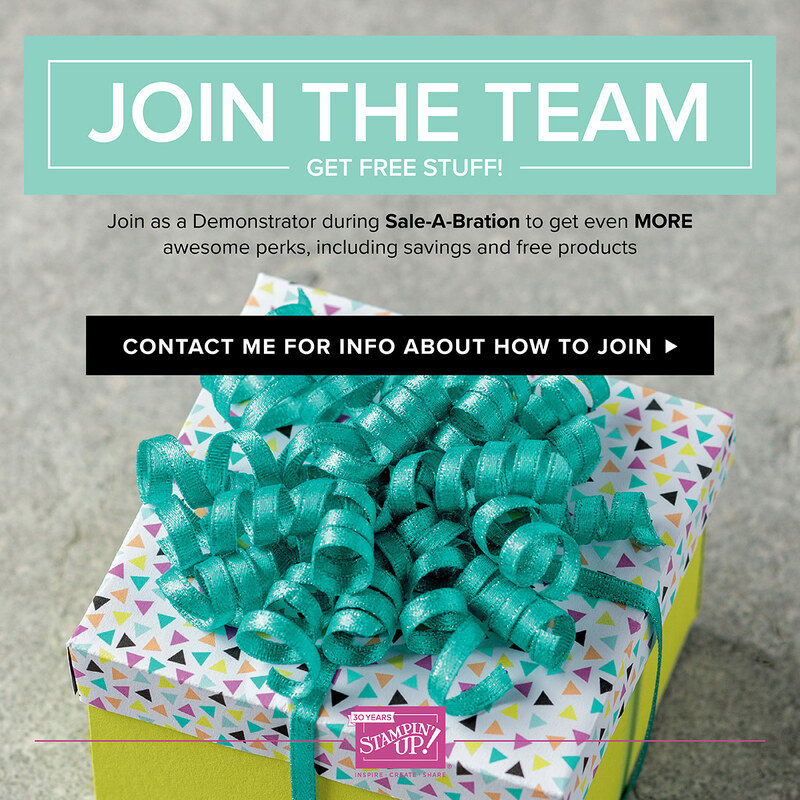 There's no better time to join my team than during Sale-A-Bration. Why? Because on top of all the usual awesome benefits, you get to pick TWO FREE stamp sets! Contact me for more information or just take the plunge and join now!